Yeah, it has been mostly 709 and kscherer working on the server. I pop in every now and then but nothing major being worked on. And to think, it only took him 65 years to build. Out of town until Sunday evening. Anyway, looking for a mob-free zone below ground for a rather massive project I have in mind that isn't possible with those stupid slimes popping up all over the place. Anyway, if I miss you, what I'm looking for is mob-free from the NW corner of my palace to the SW corner of Tall Town. If you drop into my basement, you'll find a, um, "excavation" ( ) that I want to expand for some as yet unannounced bits that the slimes will render too difficult to undertake. Coordinates are roughly 730/600 in the NW, and 1125/1060 in the SE. It's a big area. Anyway, looking for a mob-free zone below ground for a rather massive project I have in mind that isn't possible with those stupid slimes popping up all over the place. Hmmm… mob-free zones have been possible by forcing the biome to "mooshroom island". Since biomes apply to the full 0 to 255 Y space of a block, and since only mooshroom cows can spawn in the mooshroom island biome, overwriting the biome value of the block effectively results in that being a mob-free zone. The last time I forced biome settings, though, was when we were using a modded server and it was a mod that gave me that command. That's what I did to keep mobs from spawning in and around (most of) the USS Enterprise. I'll take a look at the current legit admin commands to see what I can do here! Thanks for taking the time. If it works out, great! If not, I'll get over it in a minute or two. Welp… apparently WorldEdit's biome functionality has been broken since some time last year and nobody has bothered to fix it, but a little thing like a broken feature in the de facto mod never stopped me before. So, tonight I've started writing my own Forge mod, and so far things are starting to come together! I've created a rudimentary server-side command that can print the current biome at a coordinate and another that can set a custom biome at a coordinate. I need to add some error handling so it doesn't just explode on bad inputs and add a command that takes two sets of coordinates to iterate over a region, and then we might be in business. I now have this thing working in a way that takes two coordinate pairs to set the biome across a whole area. 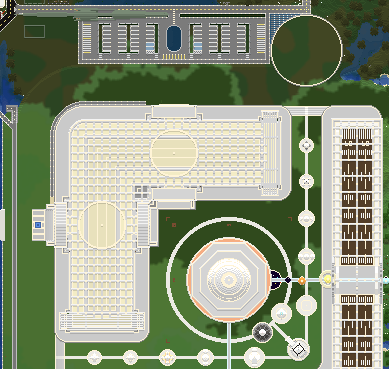 There are still a few things I need to clean up, but at this rate I might slip it onto the server later this evening. Final weekend update! I'm pretty confident I have my custom Forge mod in a good state, but since it's starting to get late, I'm going to hold and instead (try to) install it on the server tomorrow. Not sure I mentioned, but I'm hoping to get that all the way to bedrock. 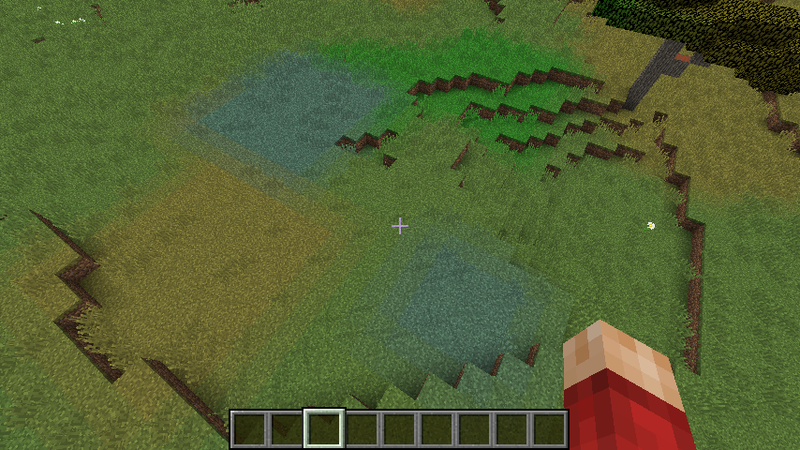 FWIW, biome settings in Minecraft always apply to the full height of a block's space in a chunk. Internally the biomes are just represented as a 2d map that overlays the world chunks. In other words, at a given (x, z) coordinate, everything from the y=0 bedrock to the maximum y at the top of the sky box uses the same single biome value. OMG. I just took a trip to your resort island, descended down into the basement, and after an eternity of wandering through what I can only assume are the mines of Moria, I'm pretty sure I found myself in… France? Or is this Switzerland?? Okay, so… uh, this is a big swath of area to update! If my math is right, we're talking ~182,556 blocks based on the corners you described above. The mod can handle that fine, but I'm not sure the server is going to be happy about updating ~713 chunks (each is 16x16) all at once. Perhaps I'll go about slicing this up a little bit at a time. And just to be sure, does this roughly cover the area that you're talking about, Ken? I feel like I need some adult supervision or someone to hold my hand when I do this. The server is up and running again, now with my mod installed, but I'm going to wait on actually doing the biome change until you're around Ken. Drop a line in here with a forecast on when you might be available this week or weekend, and I'll try to be online at the same time. On the subject of changing biomes, since the water and grass color are tied to the biomes, if 709 has any interest in brightening the dark "swamp" splotches around the museum, I could help out with that too. Or not? Totally up to you man. Funnily enough, I did wander around the grounds there yesterday thinking about that very thing. I'm going to leave it though. It's just irritating and weird enough for me to like it. Drop a line in here with a forecast on when you might be available this week or weekend, and I'll try to be online at the same time. Gonna be better if you can tell me what your schedule looks like. I'm mostly flexible, but things might get in the way. Perhaps Friday evening or some time this weekend? Got a dinner party Friday evening. Could do late Saturday. Would be 8:30 MST or later. 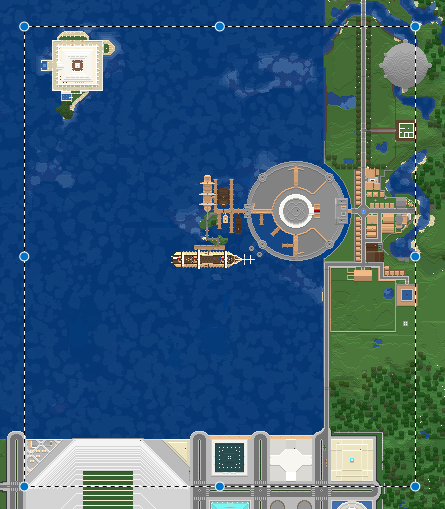 I was checking out the latest snapshot of 1.13 and the changes to water colors are pretty significant – most noticeable in the now yellowish-cast Swampland biome. So, unless I want my Museum aquariums and fountains to look like they're piped in from the urinals, I think I'm going to take you up on that. So I can get a handle on area: is your code based on changing the 16x16 chunks or can it go along any X/Z coord? No worries, man! Saturday evening is good. That does remind me; before too long I'll need to update the ol' resource pack. Definitely it needs some attention before 1.13 drops, and to be honest, I probably should take a quick look at things I know I've missed that were new to 1.12. I made a note to be on at 8:30 MST Sat evening. Maybe the munchkins will joins us? 8:30 MT is 10:30 ET right? I'll be there!